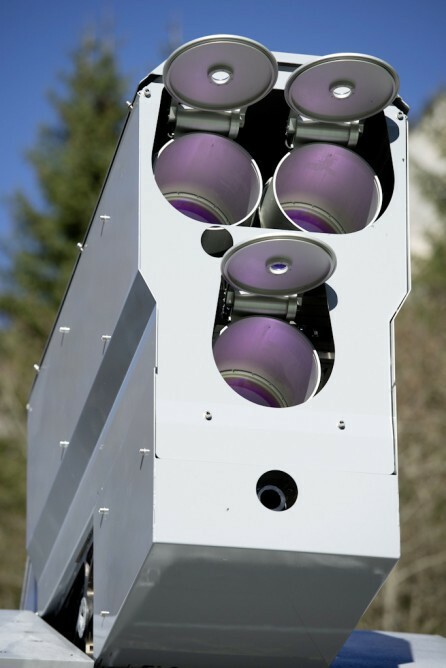 Rheinmetall 50kW Anti-Aircraft/Mortar/Rocket Laser Weapon System: The Future of Air Defense? | DefenseReview.com (DR): An online tactical technology and military defense technology magazine with particular focus on the latest and greatest tactical firearms news (tactical gun news), tactical gear news and tactical shooting news. Speaking of precision-guided weapons, Rheinmetall recently successfully tested a 50kW laser weapon against a 15mm/0.59-inch-thick steel girder at 1,000 meters (1000M), a group of nose-diving target drones flying at 50 meters per second (164 fps) at a distance of 1.24 miles (2 kilometers) and a 82mm (3.22-inch) simulated mortar round moving at 50 meters per second. The target drones were detected by the system at a range of 1.86 miles (3 kilometers) out. The system can reportedly be operated in adverse environmental conditions, including snow, “dazzling sunlight”, ice and rain. 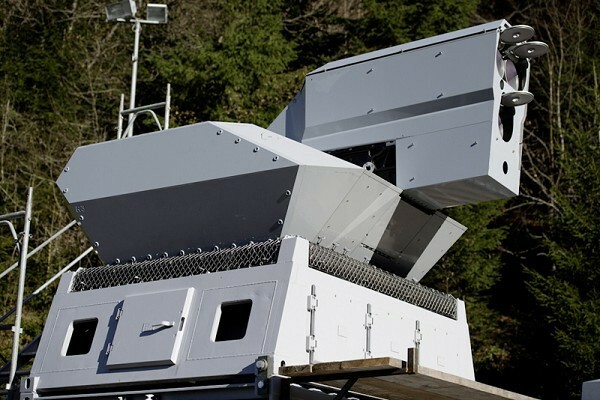 Since Raytheon demonstrated a 50-kW laser weapon system at the 2010 Farnborough Airshow, it would appear that Rheinmetall is playing catch-up. 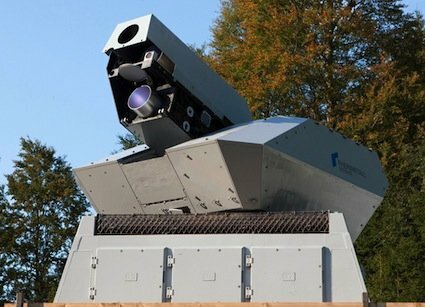 However, Rheinmetall is claiming it will have a 60kW laser weapon with integrated 35mm Ahead Revolver Guns by late 2013, and that a 100kW laser is “feasible”. DefenseReview (DR) sees mobile, multi-spectral high-engergy laser weapons systems as the natural follow-on to kinetic systems that utilize projectiles to intercept airborne threats, and it would appear that they will become the primary air-defense method of the future. Lasers can engage more airborne threats more quickly, more acurately, and seemingly more cost-effectively than anti-aircraft/anti-missile missile systems and ballistic systems like the Phalanx CIWS (Close-In Weapon System) Gatling gun (multi-barrel rotary machine gun). Speed kills, and nothing beats the speed of light. Previous: Desert Tactical Arms Hard Target Interdiction (DTA HTI) .375 Cheytac (.375CT) Bullpup Anti-Materiel/Sniper Rifle Shooters Achieve Consistent Hits at 3080 Yards! Next: SHOT Show 2013 Articles (and Videos) Inbound…So Stay Tuned.